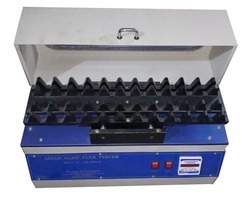 Manufacturer & Exporter of a wide range of products which include Coated Fabric Testing Equipment such as Vamp Flex Tester, Bursting Strength Tester, Crease Flex Tester, Computerised Tensile Strength Tester, De-Mattia Flex Tester, Flex Tester and many more items. We specialize in manufacturing, supplying and exporting an exquisite range of Bursting Strength Testers. 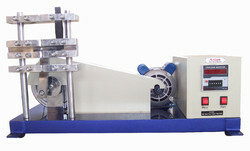 All our products are manufactured using high-grade material at state-of-the-art manufacturing unit. These products are used to test the bursting strength of fabric, leather, paper and card board. Our technologically advanced range is widely acknowledged in the market for its easy operations, user friendliness and outstanding performance. Moreover, to cater to the diverse requirements of clients, we offer our range in various models and specifications. 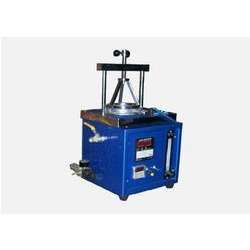 We are the leading and prominent Manufacturer and Exporter of Crumpflex Tester, these are Used to measure the flex testing of Coated Fabrics. Our wide assortment of Vamp Flex Testers are manufactured using latest technology and available at affordable prices. 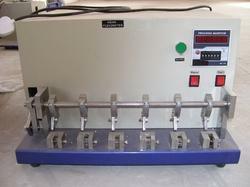 These testers are used to determine the flexibility of the specimen under test. Owing to features like durability, reliability, and long service life, our products are widely demanded by the clients across the globe. Asian Schildknecht "Flex Tester" consisting of a pair of stainless steel cylinders so that the axis of each pair are in the same straight line. Holding with the help of the hose clip (provided with the instrument) one end of the test specimen in a fixed grip and the other end in a reciprocating grip provides the flexing and unflexing action. The set of grip has two-fixed grip and one large reciprocating grip positioned between them in order to flex half of the test specimens while the other half is being unflexed. The reciprocating grip is slide on hardened and ground rods made of high carbon steel. The reciprocating motion is provided by an eccentric and linkage mechanism driven by an electric motor through V-belt and pulleys. A six digit electronic preset counter is provided for indicating and control the number of the test cycles undergone. 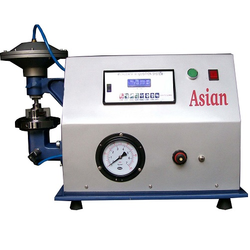 We are one of the accredited manufacturers, suppliers and exporters of a premium range of Pressure Head Testers. Manufactured using excellent quality material, these testers come with a coaxial ring clamp that helps in fastening the test piece over the well. Our range consists of a pressure & flow regulator and digital preset timer. Post-production, these testers are thoroughly inspected by our quality controllers on certain parameters in order to rule out every possibility of defect.